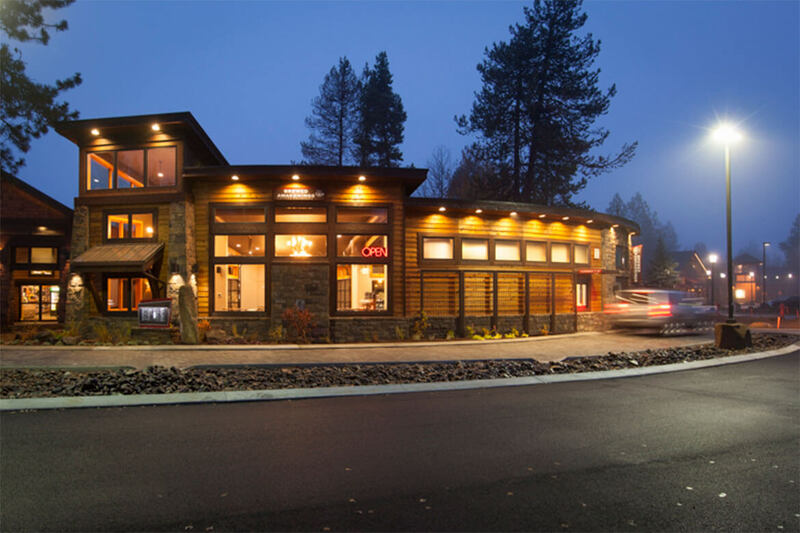 In a world where finite resources and creativity in conservation are key, the ECLIPTIC at Sunriver is a tribute to one of the most powerful of all known energy sources–the sun. The 1460 sq. ft. building is sited to mirror the curve of the sun’s path throughout the year. Such orientation allows potential passive solar energy to be captured by the building through passive solar design. Horizontal and vertical fins act as solar control allowing or denying the sun’s energy into the building at various times of the year. The arc design is deliberate, powerful and simple. 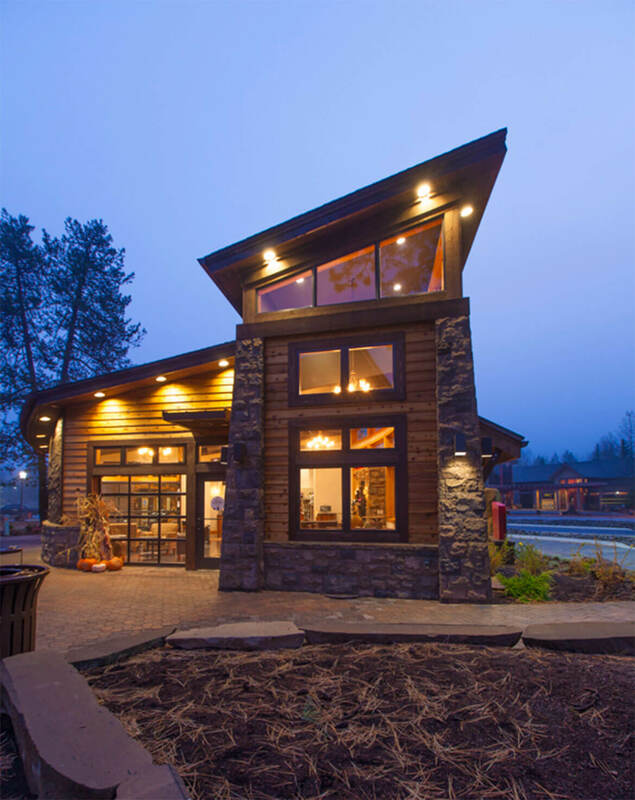 The building’s renovation and massing steps to the west create a hierarchy of forms culminating in a tower element which compliments adjacent buildings and provides a gateway to The Village at Sunriver. The interior curve forms an intimate plaza and entry node for the visitor experience. 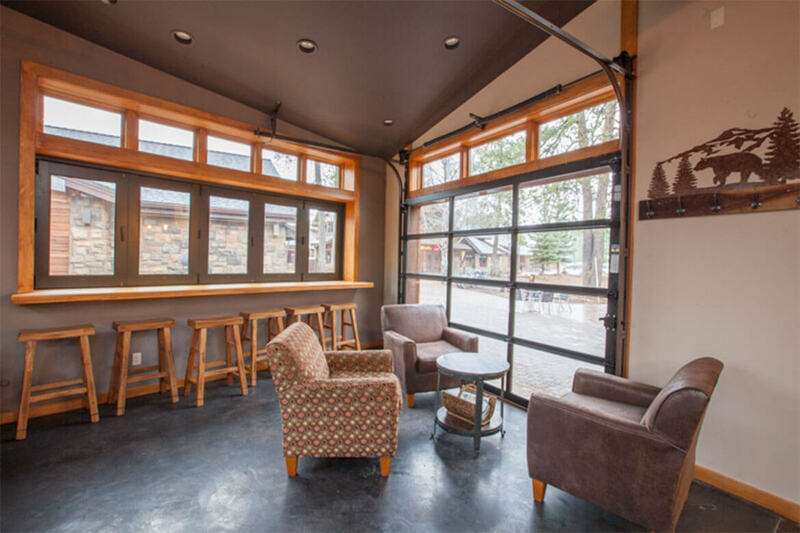 The interior/exterior seating area within the curve–with its garage doors and operable adjacent windows–bring the beauty of the outdoors in. The roof form is slightly concave and the intersection with the tower element was challenging. Extensive coordination and detailed computer modeling was used to accurately describe the structure for the builders. 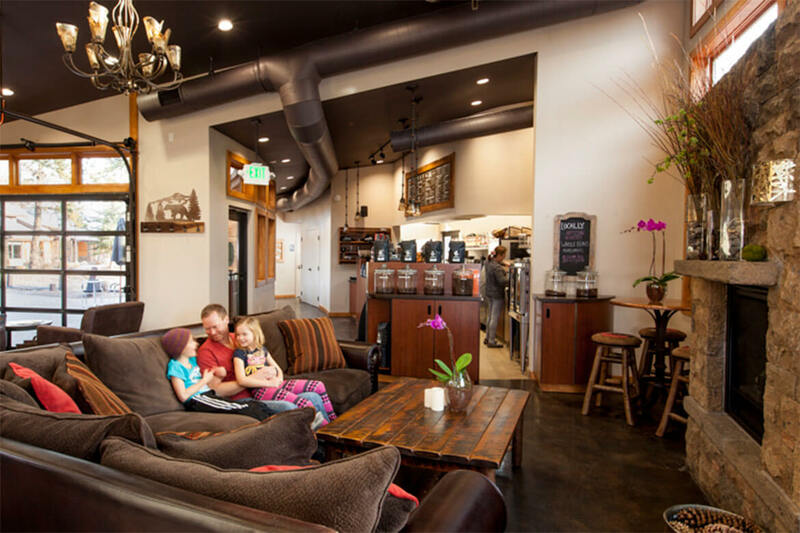 The building’s goal was to house a coffee shop with drive through. An internal access road was created to serve the drive through and join the two previously unconnected parking areas of the site. The windows and vegetated screens create a procession and rhythm at the front of the building’s length. ECLIPTIC at Sunriver celebrates place, site and our time within it.